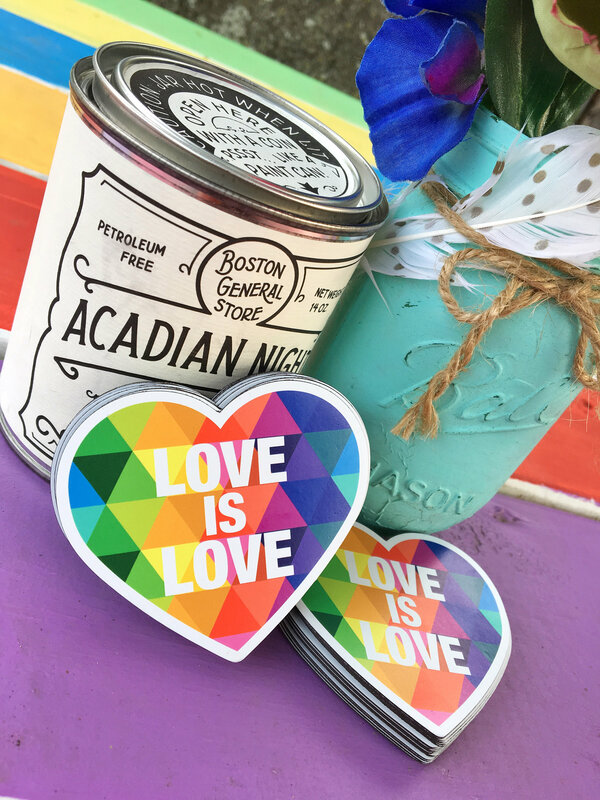 A colorful Love Is Love magnet for your car or your fridge. Get this vinyl decal to give as a gift to someone. Get one for you, a friend, a neighbor, your sister, your mom, your dad, or anyone really. Everyone enjoys a cool one-of-a-kind gift. Original unique design, not sold in retail stores.